You often have discussions about the work you do after the performances. Could you talk a little about that aspect of what you do? Yes, that is something that we do. After each performance of Don’t Say A Word we would have a panel discussion. There would be a speaker from Women’s Aid, or someone who was working in that area, we might have someone from the police or the probation board. 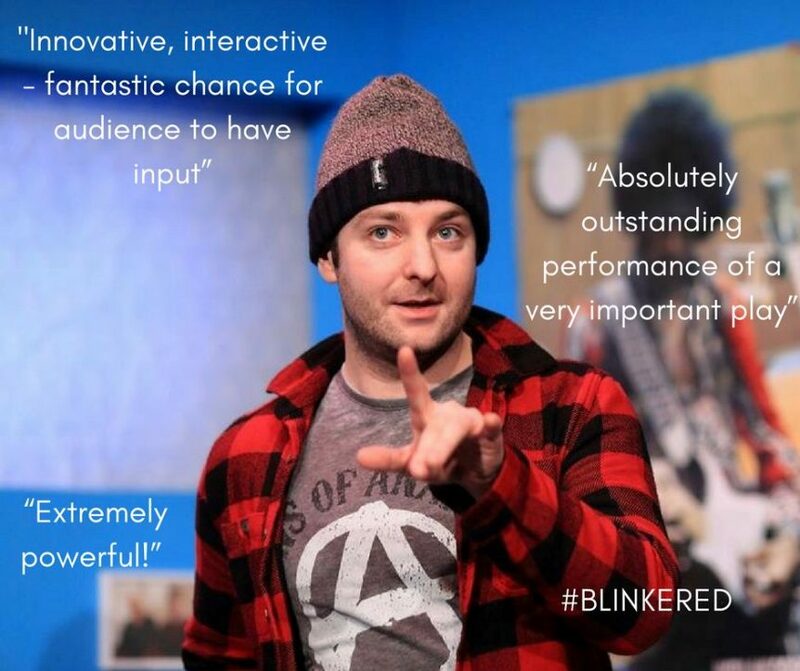 With Blinkered we organised an interactive theatre discussion. It is a play about mental health and suicide. The main character, Ryan, played superbly by Patrick McBrearty, is depressed and expresses to the audience that he is having suicidal thoughts. In the post show workshop we ask the audience to think of one thing that one character in the play can do to help Ryan or one thing that Ryan can do to help himself. The actors then act out the suggestion. We always have a professionally trained suicide prevention counsellor on stage with us as part of the workshop and that person will then make comment on the scenario saying if it would be useful or helpful in a real situation. One of the big issues in suicide prevention for example is asking the question ‘are you having suicidal thoughts?’ or ‘are you thinking about taking your own life?’. This question will be asked in the scenarios. I think that offers a possibility to people in the audience, that questions which might seem difficult to ask can actually be asked, and its ok.
That is, we hope, empowering for our audience and we would also hope that if such an incident occurs in their real lives, that they might feel better able to deal with it. Do you always organise this sort of discussion after your productions? No. We do run shows as pure theatre shows as well. If we are doing a full length play then we don’t usually follow with a workshop or discussion. How do plays get commissioned? We run Theatre Labs a couple of times a year. Something might come through a Theatre Lab that looks interesting, and we could develop from there. We also run LGBT Theatre Labs where plays have been developed. 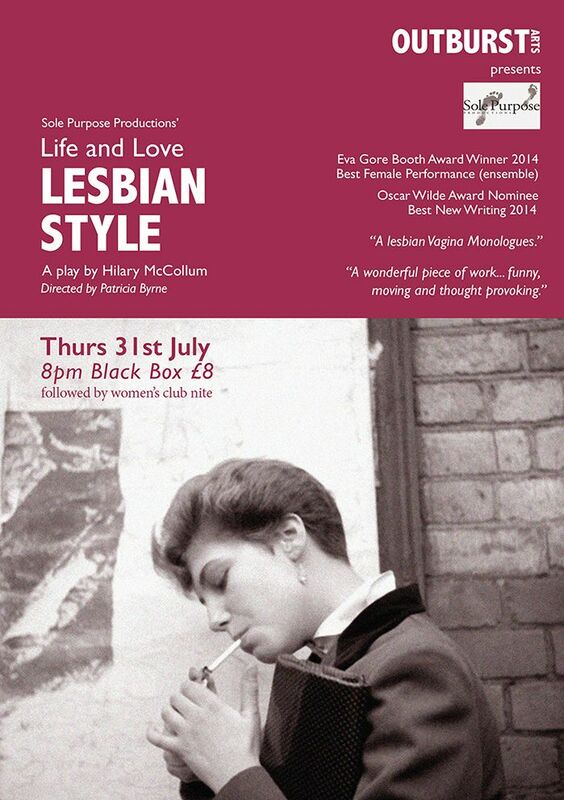 Some great work has come through this process: The Shadowmen by Debbie Caulfield, The House by Edie Shillue, Pits and Perverts by Micheál Kerrigan with input from me, and Life and Love: Lesbian Style by Hilary McCollum. Writers also send us material. I work on my own writing and so I might produce something. Writers come in to see me and suggest ideas that they would like to work on. It is mainly locally based writers although we do get playwrights from elsewhere approaching us too. Members of our Board of Directors will read a script and we will make a decision about whether or not to proceed with the development of a script. 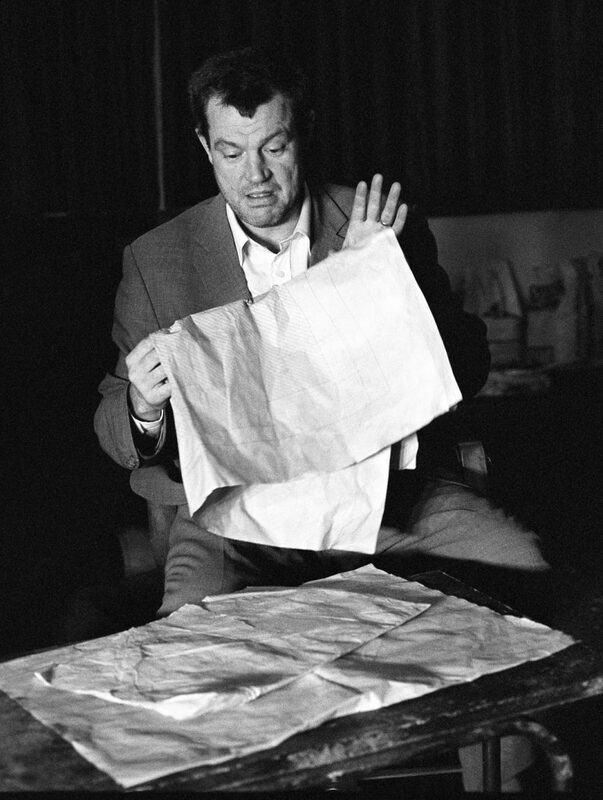 The Shadowmen by Debbie Caulfield and Ray Curran – Pictured Matt Jennings, photo by Max Beer. What is the length of time between submission and production, if you take a play on? Generally it would be around two years. We have to work on the script, make sure the script is the best it can be. We need to find funding, then we have to go about recruiting staff, casting actors. All of that takes time. We tend to use people who are locally based. Being a Derry based theatre company we like to use people from here and give them opportunities. If we don’t feel that there is someone suitable for a particular production here then we approach people in Belfast and we have had a few people from elsewhere, but the aim really is to work with local actors. How do you deal with the covering of what appear to be very controversial topics? When we work on a production we almost always work in partnership with organisations that are working on the relevant issue. So when we developed Don’t Say a Word we worked with Women’s Aid. 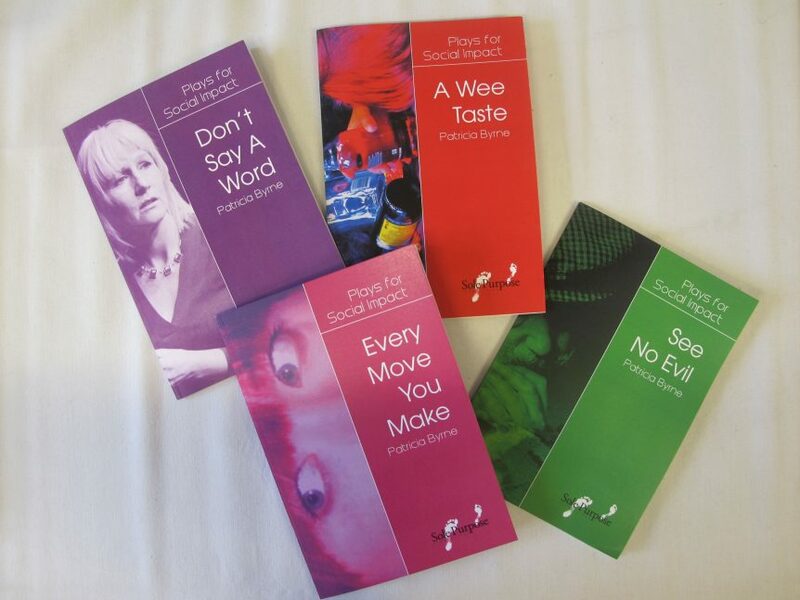 When we developed See No Evil, which is about elder abuse, we worked with Age Concern Derry and the Western Health and Social Services Board. With Blinkered I consulted with Conor McCafferty at ZEST NI, a suicide prevention organisation; Bridie Sheridan, former Manager at Youthlife and Siobhan O’Neill, Professor of Mental Health Sciences at Ulster University at Magee. I also interviewed people who had been bereaved by suicide, and people who had attempted suicide. I then worked on the script, and gave the script to these people for comment and feedback and then rework the script, until it is at a place where we all feel satisfied with it. I deal with this stage very carefully. I have in-depth interviews and want to make sure that we get the key points, around suicide prevention for example, that people want to get across. You still have to produce a workable theatre production though? We insist that what we are producing is good theatre. The dynamics between the actors have to be engaging. The production and the performances, in particular, need to be believable and truthful. The audience have to be able to relate to the performances, to the characters, and we do have to remember that what we are doing is in some way entertaining, in the sense that the audience appreciate the production values, the talent of the actors and the storyline. Does the process you work with ever fail? I can’t think of ever having been in a situation where I have been thinking that a production just isn’t working. We can improve productions, but that would always be the case with anything that we do. If we encounter problems to that extent I would talk to people and get advice from people that could help, but thankfully that hasn’t happened. There are different layers which constitute success. Of course we want people to fill the theatre and see our productions. And we want people to be talking about the ideas that we look at, and we want to get good reviews. There are other measures though. When we did Blinkered we worked in partnership with the Samaritans who were present at every performance, and we had counsellors at every performance. There were always a number of people who wanted to speak to a counsellor or to get information from the Samaritans after the performance. This is also success. Bridie Sheridan, who worked with young people and suicide prevention for over 25 years, told us that she believed that play was saving lives. If the aim of that play was to shift ideas regarding suicide, then that play was a success. Patrick McBrearty – Photo by Gav Connolly. How do you feel about the current climate regarding the Arts locally? It is very difficult and it is getting harder and harder for everyone. I think that artists will continue to make art whether the funding is there or not, but that is no reason not to fund the arts. Arts Matter NI are doing a fantastic job campaigning and lobbying for the arts. I believe that there is plenty of money around, and all these ‘austerity’ issues could be solved tomorrow if those who hold power and wealth really wanted to do something about it. Those who make decisions don’t see the value of the arts, or choose not to see it. In a Department of Health, Social Services and Public Safety document in September 2010: <em>Investing for Health Strategy Review,</em> it was stated that the cost to the public of each suicide is £1.6m. If Blinkered has saved one life, then isn’t that good for the economy? If there was real investment in the arts we would have a much healthier and happier society. But is that what those who hold power actually want? There is the argument that the arts has to be able to fund itself but if it wasn’t for public funding working class voices, marginalised voices wouldn’t be heard, their lives and experiences would not be visible. People from working class backgrounds or marginalised people would not be able to work in the theatre if the funding wasn’t available, that is why funding is important and why we need to campaign to increase well beyond what is being offered at the moment. 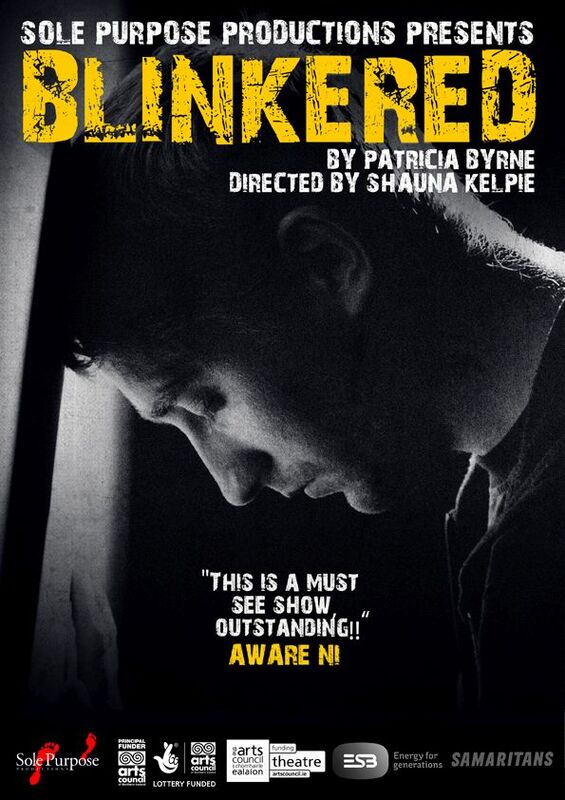 Blinkered will be on tour in Northern Ireland and will be staged at Origin Theatre’s 1st Irish Festival in New York in January 2019.